The UN Human Rights Committee concluded its 108th session in July 2013. The Committee examines country reports and considers individual complaints under the International Covenant on Civil and Political Rights. There is usually a gap of a month or two before the individual decisions of the session are released. The first six cases have now been announced, including some significant decisions. Here is a summary of the six decisions. 1. Singh v. France, CCPR/C/108/1928/2010 (7 August 2013), decided 19 July 2013. Represented by counsel (Christine B. Bustany, O’Melveny & Myers). 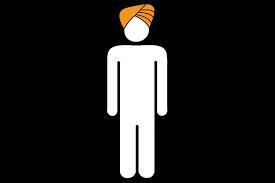 The case concerned the obligation of a Sikh man to appear bareheaded without his turban in a passport photo; the right to manifest one's religion, the right to freedom of movement; indirect discrimination. Mr. Singh is a Sikh who emigrated to France in 1970 and became a French citizen in 1989. The photo in his France passport showed him in his Sikh turban when it was originally issued in 1989, and thereafter each time it was renewed, in 1991, 1995, and 2000. When he tried to renew his passport a 4th time in 2005 he was told he could no longer wear his turban in his passport photo. A French Decree adopted in 2005 now required that the photo be “front, bareheaded, size 35x45 mm, recent and perfect likeness”. He claims that the turban is closely linked to his faith and identity as a Sikh individual. The first commandment of the Sikh faith is that the hair should never be cut and must be kept clean, neat and hidden from public view. Forcing a Sikh to remove his turban is humiliating, similar to how humiliating it would be have to remove one’s pants in public. He challenged the ruling and lost, and appealed and lost again. The Appeals Court reasoned that while the wearing of headgear had been tolerated in the past in respect of the Sikh religion, that does not preclude changing the rule going forward. The change was justified for reasons of national security, public safety and to crackdown on passport fraud. The new rule was designed to limit the risk of fraud or falsification of ID and was a legitimate requirement. A complaint was brought by Mr. Singh before the European Court of Human Rights. However, his case was dismissed by the court, saying that they normally yield to the interpretation given by the local state courts in matters of this type unless the change in rule is clearly disproportionate to the objective. In the view of the European Court the new rule was not disproportionate to the stated objective. Mr. Singh then brought this complaint to the Human Rights Committee, arguing that it was a violation of his freedom of religion under article 18 of the Covenant. The Committee agreed with Mr. Singh and concluded that the requirement to appear bareheaded in a passport photo was not a necessary and proportionate response under these circumstances. For Sikhs headgear is an essential manifestation of their religion. The France government had not adequately explained why wearing a Sikh turban covering the upper part of the head and part of the front, but leaving the rest of the face clearly visible would make it more difficult for a clear identification. The Committee noted that Mr. Singh wears the turban at all times in his daily life, so he would appear to be most recognizable with his turban on. The regulation is therefore a disproportionate restriction on the right to freedom of religion and is a violation of article 18 of the Covenant. VIOLATION FOUND. The State must respond in 180 days. Decision is in French only as of 8/23/13. The Committee decides two important cases against Australia for the indefinite detention of various refugees. 2. F.K.A.G. et al v. Australia, CCPR/C/108/2094/2011 (20 August 2013), decided 26 July 2013. Represented by counsel (Ben Saul). Indefinite detention of persons in immigration facilities. The claim is brought on behalf of 37 persons who are being held in Australian immigration facilities. All but one of the detainees are Sri Lankan citizens of Tamil ethnicity; the one is a Myanmarese citizen of Rohingya ethnicity. In July and November 2012 the Committee issued Interim Measures asking the Government of Australia to take steps to safeguard these persons from harm while the review of this matter was pending, including protecting them from the risk of self-harm, due to the high level of anxiety that was resulting from prolonged detention. In addition, an independent psychiatric examination was requested of two of the detainees. Of the 37 in the group, 31 were apprehended on various boats in March 2009 and March 2010 and brought to an offshore immigration detention facility. One child in the group was born in detention in Australia. Five other members of the group were rescued at sea by Australian customs officials in December 2009. All adults in the group were later refused visas based on adverse security assessments. They were never provided with a statement of reasons for these adverse security assessments. The 3 children in the group were granted protection visas. The adults were unable to challenge their security assessments. Under Australian law, these types of assessments may only be challenged on procedural grounds, not on the merits. The detention of the adults in the group is thus indefinite – no third party country has come forward to accept them, the Government of Australia has not indicated an intention to return them, and they do not wish to voluntarily return to their country of origin. Their mental and physical health is deteriorating over this time period, with overdoses and suicide attempts being reported by their attorneys. Having considered the evidence, the Committee concludes that the indefinite detention of these individuals is a violation of the Covenant. Detention of asylum-seekers is to be used only sparingly, and with adequate safeguards. Australia did not meet this standard with these claimants. “Asylum-seekers who unlawfully enter a State party’s territory may be detained for a brief initial period in order to document their entry, record their claims, and determine their identity if it is in doubt. To detain them further while their claims are being resolved would be arbitrary absent particular reasons specific to the individual, such as an individualized likelihood of absconding, danger of crimes against others, or risk of acts against national security. The decision must consider relevant factors case-by-case, and not be based on a mandatory rule for a broad category; must take into account less invasive means of achieving the same ends, such as reporting obligations, sureties, or other conditions to prevent absconding; and must be subject to periodic re-evaluation and judicial review. The decisions must also take into account the needs of children and the mental health condition of those detained. Individuals must not be detained indefinitely on immigration control grounds if the State party is unable to carry out their expulsion. In addition, the Committee ruled that the five persons in the group who received later security assessments under the so-called ASIO process were also not provided specific enough reasons for their negative assessments, and that this also constituted a violation of article 9, paragraph 2 of the Convention. In addition, the Committee held that the lack of an effective judicial review was a violation of article 9, paragraph 4. On the issue of inhuman treatment, the Committee concluded that the availability of general health care and mental support services in the detention facility was not enough in this case to satisfy the article 7 treatment requirements. The combination of the arbitrary character of the individuals’ detention, its protracted and/or indefinite duration, the refusal to provide key information and procedural rights to them, and the difficult conditions of their detention, were altogether inflicting on a cumulative basis serious psychological harm, and that this harm was a violation of article 7 of the Covenant. VIOLATION FOUND. The State must respond in 180 days. There was a separate opinion submitted by Sir Nigel Rodley of the Committee, concurring in part and dissenting in part. He refers to his separate opinion in C. v. Australia, 900/1999 (Oct 2002), indicating that he does not agree with the Committee’s finding of a separate violation of article 9, paragraph 4 (inadequate judicial review); he believes the reasoning of this type of violation is circular and superfluous, being adequately covered instead as a violation of article 9, paragraph 1. 3. M.M.M. v. Australia, CCPR/C/108/2136/2012 (20 August 2013), decided 25 July 2013. Represented by counsel (Ben Saul). ). Indefinite detention of persons in immigration facilities. This case is a companion case to F.K.A.G. et al v. Australia, 2094/2011. The claimants in this case were nine persons, two of whom were from Myanmar of Rohingya ethnicity, six persons from Sri Lanka of Tamil ethnicity, and one person from Kuwait of Bedouin ethnicity. They entered Australian territorial waters by various boats between October 2009 and December 2010, for the purpose of claiming refugee protection. They did not have valid visas and were detained upon their arrival. The Australian authorities recognized them as refugees for whom return to their countries of origin was unsafe. But they were refused visas to remain in Australia following security assessments which were conducted on each of them. None of them were given a statement of reasons as to why they had received negative security assessments. 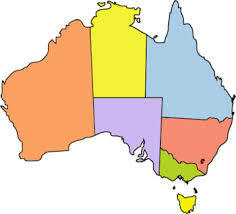 They were not permitted under Australian law to challenge the merits of their security assessments; only a procedural challenge for jurisdictional errors was permitted, but not the decision itself. Since the grounds for the negative assessments have never been disclosed by the authorities, they have no way of determining whether there are any jurisdictional errors that can be challenged. They thus are in a state of indefinite detention – they do not wish to return to their country of origin; the Australian authorities have not indicated that they intend to remove them; and no third country has stepped forward to accept them. One of the detainees, and her minor son, were released while the case was pending. After reviewing the evidence, the Committee concludes that Australia is in breach of its obligations under the Covenant for the way in which it has handled these detainees. Detentions of asylum-seekers, if needed at all, should be brief, justified, and proportionate in light of the circumstances. These persons have been kept in immigration detention since 2009-2010, first under mandatory detention upon arrival and then as a result of adverse security assessments. Whatever justification there may have been for an initial detention, the Australian government has not, in the Committee’s opinion, demonstrated on an individual basis that it continues to be justified at this time. They have not demonstrated that other, less intrusive measures could not be used instead. The Committee concludes that the government has violated article 7 and article 9, paragraphs 1 and 4 of the Covenant. An opinion dissenting in part and concurring in part is filed by Sir Nigel Rodley. He refers to his separate opinion in C. v. Australia, 900/1999 (Oct 2002), indicating that he does not agree with the Committee’s finding of a separate violation of article 9, paragraph 4 (inadequate judicial review); he believes the reasoning of this type of violation is circular and superfluous, being adequately covered instead as a violation of article 9, paragraph 1. 4. M.I. 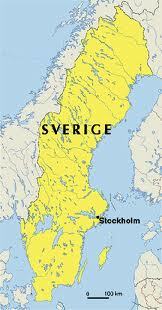 v. Sweden, CCPR/C/108/2149/2012 (14 August 2013), decided 25 July 2013. Represented by counsel (Eva Rimsten from the Swedish Red Cross). Deportation of a lesbian woman to Bangladesh. The complainant, referred to by her initials as Ms. M.I., is a 28 year old woman, from Dhaka, Bangladesh, where her family still lives. She says she is a lesbian and that her parents learned of her sexual orientation when she was approximately 17 years old. They did not approve of her sexual orientation and arranged a forced marriage with a Bengali man in 2006 when she was 21. He was living in Sweden and she joined him there in June 2006 after receiving a temporary residence permit. When her husband found out that she was lesbian, he forced her to go back to Bangladesh a month later, July 2006. That same year she met a female partner in Bangladesh and they began living together. Within two years it became generally known in her community that they were a lesbian couple. Homosexuality is against the law in Bangladesh although infrequently enforced. She was arrested by the police in April 2008 due to her homosexuality. She was beaten and raped while in custody. During the same period, her partner was kidnapped by an Islamic organization called Shator Shivir and she has not been seen or heard from since. After Ms. M.I. was released from custody, she continued to receive threats from this same Islamic organization and from the police. She had sporadic communication with her family. Her father refused to have any contact. Since her Swedish residence permit was valid until May 2008 she decided to return to Sweden and to apply for asylum there. She applied for asylum in Sweden in April 2008. The Migration Board rejected her application and ordered her returned to Bangladesh. She appealed several more times, including with additional evidence but was denied at each stage. The asylum authorities were concerned with apparent inconsistencies and ambiguities in her story, and with her failure to file complaints against the police at the time that they had beaten and raped her. For all these reasons they did not view her testimony as credible. She tried to explain the problem was due in part to her extreme state of mental depression during this period and to the trauma of the experiences she had suffered. She introduced medical evidence documenting these problems. After considering the evidence, the Committee concluded that the state’s asylum officials and courts of appeal did not give adequate consideration to the overall climate of fear and stigmatization of homosexuals in Bangladeshi society and instead focused mainly on inconsistencies and ambiguities in the author’s account of specific supporting facts. However, the primary facts of her testimony were unquestioned that she was an LGBT person in a society that presented major risks to such persons; the indicated inconsistencies and ambiguities in her story were not of such a nature as to undermine the reality of the feared risks. “Against the background of the situation faced by persons belonging to sexual minorities, as reflected by reports provided by the parties, the Committee is of the view that, in the particular case of the author, the state party failed to take into due consideration the author’s allegations regarding the events she went through in Bangladesh because of her sexual orientation, in particular her mistreatment by the police, in order to assess the alleged risk she would face if returned.” Accordingly, the author’s deportation to Bangladesh constituted a violation of article 7 of the Covenant. 5. V.B. v. Czech Republic, CCPR/C/108/1809/2008 (15 August 2013), decided 24 July 2013. Represented by counsel (David Strupek). Alleged discrimination in access to social security while in detention. A Czech woman who was of Roma ethnic origin claimed a right to lost income while she was in detention on a charge of attempted murder, since she was eventually acquitted of the charge and was not able to seek work while in detention. She lost the claim and appealed, and lost again. She also argued she was being discriminated against in part in these rulings because she was a Roma. The Committee concluded that the statute in question pertained to actual income lost from a current job, not the possibility of receiving income if job seeking efforts had been successful. It is usually up to the state courts to interpret legislation of this nature, and the Committee would not overrule their interpretation. Based on the materials and evidence submitted, the Committee does not view the evidence as demonstrating that the state acted arbitrarily. The claim is therefore not sufficiently substantiated. RULED TO BE INADMISSIBLE. Claim is dismissed. 6. S.Y.L. v. AUSTRALIA, CCPR/C/108/1897/2009 (15 August 2013), decided 24 July 2013. Represented by counsel (Kon Karapanagiotidis, Asylum Resource Centre). Expulsion to a country where a person fears persecution and inadequate access to medical care since he has significant health problems. 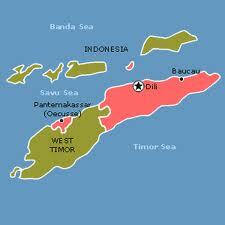 A Timor Leste man and his family left the country in 2006, fearing for their safety. They fled to Australia where they had several family members, and qualified for Sponsored Family Visitor visas once they arrived. He applied for a protection visa, based on his Chinese origin and the violence in the country but was denied the visa. The authorities claimed that he had not substantiated a well-founded fear of persecution. He appealed that decision and lost again. He then reapplied seeking a humanitarian exception based on his health problems, including the deteriorating health of both he and his wife. His health problems include diabetes, gout, high blood pressure and tuberculosis. This time his application was refused again. He and his family were ordered to depart Australia by August 2009 or face detention. He claimed the kinds of medical care that he and his wife would need were not available in Timor Leste in the area where he would live if he returned to the country. He brought this claim to the UN Human Rights Committee claiming that deportation in the face of inadequate medical care would constitute inhuman treatment within the meaning of article 7 of the Covenant. The Government of Australia presented evidence that though he and his wife have some chronic health conditions, the conditions were currently stabilized and the medicines and care necessary to treat them were available in Timor Leste. After reviewing the evidence, the Committee concluded that Mr. S.Y.L. did not sufficiently demonstrate that his health would be aggravated to such an extent by his deportation that it would reach the threshold of inhuman treatment within the meaning of article 7 of the Covenant.